WORCESTER — In sports, combine a commitment to hard work with an upbeat attitude and talent, and the end result likely will be a good one. The Worcester Cowboys youth football team is proof of that. 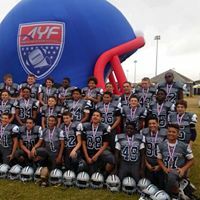 The Cowboys, comprised primarily of 12-year-olds, will compete in the eight-team AYF Nationals Dec. 2-9 in Kissimmee, Florida. Worcester, which could play as many as three games, is guaranteed two games. The Cowboys, who depart by bus Dec. 1, have taken several routes to raise funds to help defray the costs of the trip. 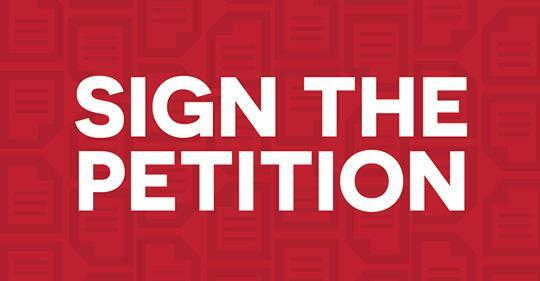 This includes a gofundme fundraiser page. The address: https://dm2.gofund.me/WorcesterCowboys12u. Worcester qualified to compete at the national level after it defeated Woodland, Connecticut, 49-12, in the recent regional final. The win in the final basically continued a good thing for the Cowboys, who head south with a 12-0 record. In addition, Worcester has won 39 straight games in its Central Mass. conference. The only losses over the last few years have been in the regionals, the final stepping stone to the nationals. In last year’s regionals, the Cowboys lost to Pelham, New Hampshire, 8-0. This year, Worcester avenged that loss, toppling Pelham, 8-6, in a regional semifinal. The semifinal was the closest game the Cowboys have been in all season. Coach Bob LaRose is optimistic about his team’s chances at the AYF Nationals. LaRose sees a collection of talented and enthusiastic youngsters who leave it all on the field at both ends. “We don’t give up any (points), and we score a lot,” LaRose said. “This team works hard. We have an offensive night and a defensive night. We game-plan, we watch a lot of film. We do all the things you’re supposed to do to win games. “And the kids take pride in the winning streak, they’re having a blast,” LaRose added. LaRose noted that though the 2016 team was a good one, this year’s squad has improved offensive and defensive lines. The Cowboys are boosted by a coaching staff that sports diverse and impressive football résumés. LaRose is happy that one of those coaches is former Holy Cross football standout Gordie Lockbaum. Lockbaum, who enjoys working with youths starting out in the sport, is impressed with the effort of the Cowboys’ players. “This team has been working hard since Aug. 1, improving each and every week,” he said. “This includes work on individual skills and team concepts. They’ve done a great job offensively and defensively. That 49-12 win was lights out. C.J. Ewing, a seventh-grader who plays running back and safety, is ready for the big dance. Ewing has been involved in AYF football for several years. Ewing plays because the sport is fun, and he hopes to continue competing for many years. 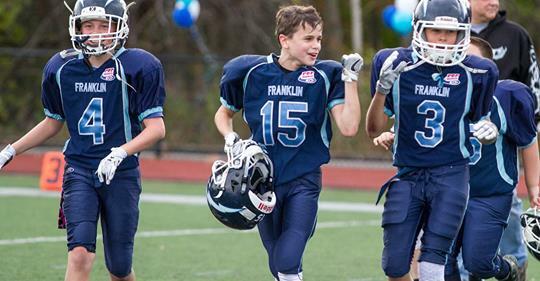 Seventh-grader Angelo LaRose, who hopes to play football in high school and college someday, gives the Cowboys versatility, playing quarterback, wide receiver, defensive back and safety. The entire year has been memorable for him. “The 12-0 season, the upcoming trip to Florida — it’s all been a great experience,” Angelo said. “Our team is perfect on the field. The big kids really help, and they us push forward. Our running backs have speed, and they just burn everybody deep. Steven Solano, an eighth-grader and football devotee with NFL aspirations, plays outside linebacker and tight end. He has a good take on the Cowboys’ success. “If we focus on fundamentals and do the fundamental things correctly, the big things will happen,” Lockbaum said.